For the Golden State Warriors (26-56) last season was pretty much what was expected—a losing record, a fourth place Pacific Division finish and a 12thplace Western Conference ranking. No postseason for this team. This season, fans will see an entirely new team. The reason has less to do with some grand scheme and more to do with having messed up the grand scheme a few years ago. Facing a major salary cap dilemma, the Warriors got rid of just about an entire roster in the off-season, trading Jackson, Maggette, Randolph, Turiaf, Azubuike, Watson and Morrow. Here’s what the Warriors look like for 2010-2011. Anchoring the frontcourt is center Andris Biedrins (.591 FG%, .000 3PT%, .160 FT%, 7.8 RPG, 1.7 APG, 5.0 PPG). Last season proved to be an off year as Biedrins missed 49 games due to nagging injuries. If he’s fully back this season, you can expect much more from him. Biedrins is a solid shooter from the floor, a topnotch shot blocker and a able rebounder. He is one of the better offensive rebounders in the game. Power forward David Lee (.545 FG%, .000 FT%, .812 FG%, 11.7 RPG, 3.6 APG, 20.2 PPG) comes over from the Knicks after spending five seasons in New York. Lee, who is now in his sixth NBA season, brings a sweet shot that he can hit from the field or from the foul line. He’s also a sound rebounder, making him a double-double guy in shooting and grabbing the basketball. On the pick-and-roll, the forward is a amazing finisher. The one knock on Lee is he’s not a good defender. The Warriors see small forward Dorell Wright (.463 FG%, .389 3PT%, .884 FT%, 3.3 RPG, 1.3 APG, 7.1 PPG) from the Miami Heat come onboard. Wright, who came off the bench for the Heat, offers speed up the floor and the ability to finish. He’s a topnotch foul shooter who continues to work on his output from the floor. He uses his length to rebound and possesses able hands to upset opposing shooters. After a fine rookie season, Stephen Curry (.462 FG%, .437 3PT%, .885 FT%, 4.5 RPG, 5.9 APG, 17.5 PPG) is back for more. Although he started slowly, by midpoint in the season Curry looked like a polished vet. He’s a smart pick-and-roll guy who has a dangerous shot that can drain the basket from anywhere on the court. 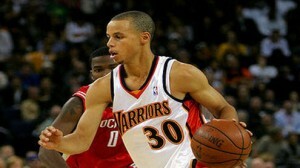 Curry needs to work on his propensity for turning the ball over and needs more speed on defense. 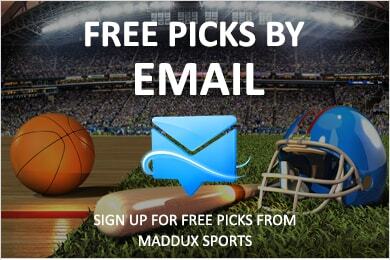 This season compare the odds of multiple online sports books on our nba basketball lines page. Rounding out the starting five is shooting guard Monta Ellis (.449 FG%, .338 3PT%, .753 FT%, 4.0 RPG, 5.3 APG, 25.2 PPG), who starts his sixth season with the Warriors. Although a good point producer, he’s not a smart shooter. He often takes low percentage shots withplenty of time left on the clock. His numbers look good on paper, but that’s because he played with an up-tempo team and threw the ball at the basket so often. If he can find some discipline, he’ll be extremely dangerous. Although head coach Don Nelson decided to retire after last season, it looks like this may still be a Nelson-style coached team as the Warriors hired his longtime assistant, Keith Smart, to replace him. Thus, look for some form of Nellie Ball, with the unique point forward, to continue to be played by Golden State. This is Smart’s first head coaching gig. This season may mark a whole new beginning for the Golden State Warriors. Don’t look for them to breakout out in 2010-2011, but they will soon. Here’s why—the Warriors have some good talent on which they can build, the salary cap has a lot of room, which means they can attract premium free agents and there’s new management and coaching. This could be the start of something good for this franchise. A third place finish in the Pacific Division and 12th in the Western Conference are in this team’s near future. If you are looking for complimentary advice check out the free nba picks page where you can get signed up for our free email pick list offering daily winners at no charge. That page will also give you more info on our premium plays as well.